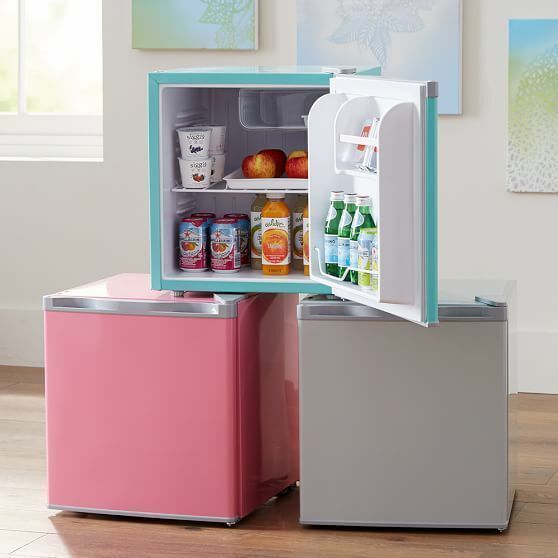 Compact refrigerators, or mini fridges, are primarily used to store foods and drinks in dorm rooms, game rooms, home offices, garages and alike. Thanks to the fridges humble profile, they have a very limited space requirement so you could conveniently place them anywhere you see fit. Nonetheless, you are in for a surprise if you assume that mini fridges use less energy compared to standard fridges simply because they are smaller. Want to know how many watts does a mini fridge use? Then you could find the answer right down below along with a couple of important information on the side. What is the cost of running the average mini fridges? Here is an interesting fact: For most the time, mini fridges actually use more electricity per cubic feet than other standard size fridges. The cost of running a full-size refrigerator is only about twice as much as a compact fridge one-quarter of its size. As a result, a 4.4-cubic-feet compact refrigerator could cost you $27 a year while a much larger 20.6-cubic- feet fridge only cost you $47 in the same time period. There are two reasons behind this: First, there isn’t a lot of room for insulation. 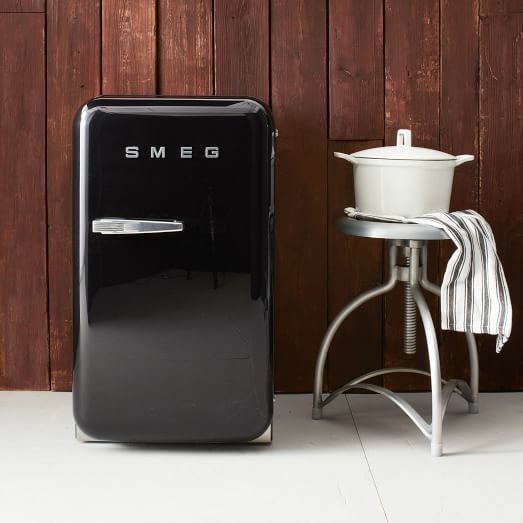 Second, mini fridges have considerably more area per cubic feet to accommodate food and drink which require additional electricity to keep everything cool. Of course, there are many other contributing factors too such as the unit age, the room placement, the defrost setting and so on. In general, provided that the setting is similar, mini fridges would have lower energy efficiency compare to full-size refrigerators. Most people don’t notice the slight difference in their utility bills though because compact refrigerators often cost you well below $5 per month. To have cold snacks and beverages in your hand while watching sport or playing games could easily justify the less than ideal efficiency. You should be able to find an eye catchy yellow and black Energy Guide Label somewhere on the fridge body. It would tell you the estimated amount of energy the refrigerator could use in a year along with its projected c cost. Products with an Energy Star rating on their label tend to consume less energy compared to other models. Do remember that the cost could vary a lot in reality, depending on the local utility rates as well as well individual preferences. The products down below are simply examples, there are more products on the market for you to choose. Nonetheless, these examples should offer you a general idea of what to expect when it comes to mini fridges electricity usage and operation cost. How many amps does a mini fridge use? The refrigerator ampere is often listed in the manual or on the fridge front/back labels, you could even look for it online. It’s also simple to manually calculate the ampere of a mini fridge, you only need to use this formula: Amperage = Watts/Volts. For example, if you have a 120 Voltage and 240 Wattage then your mini fridge shall have an Amperage of 2. As a rule of thumb, the generator wattage must be 1.5 times higher than the refrigerator running wattage to start the unit. This is due to the fact that fridge requires an extra jolt of electricity to jump-start its compressor motor. Take a good look at the output rating of the generator in order to make sure it can handle the fridge electricity requirement. How to take care of your mini fridge? It’s recommended that you keep the fridge away from direct sunlight and heat sources. Don’t try to squeeze too many things into the fridge. That would leave no room for the cold air to circulate and chill the items. Clean the fridge and vacuum its coil on a monthly basis to maintain an ideal performance. Get rid of all perishable item if you intend to go away for a couple of months. And that is most of what you should know about running mini fridges and its related issue, pretty simple to absorb, right? “How many watts does a mini fridge use?” It’s not easy to figure out the answer when you don’t know much about the fridge characteristic. But with the help of the article, you should have no trouble obtaining the wattage of any compact refrigerator you could find.